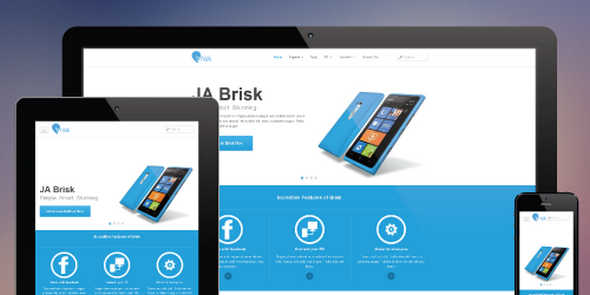 JA Brisk responsive template for Joomla 3 and Joomla 2.5. It runs on our brand new T3 Framework with tons of backend customization config options. JA Brisk sports all the features introduced in the T3 Framework, It is responsive by default with layouts to support various mobile devices, comes with easy to use layout configurator and thememagic, which lets you control and customize almost every part of the template.